We all love to be surprised by our partners. But how do you surprise them when you aren’t with them? 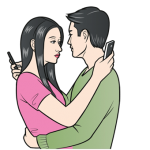 In this article, we take a look at 5 creative ways to surprise and delight your partner via text. Relationships aren’t easy, but there are ways to strengthen them and keep things exciting. Surprises are one of them. However, it’s kinda tricky to surprise someone when we aren’t with them! This is where texting comes in.  Texting, when done right, can enhance your relationship, keeping you in touch with your partner during the day and strengthening bonds. And if the surprise is special enough, they’ll remember your text message forever. And, hey, who doesn’t love it when our phone buzzes with a loving text message from our partner when we least expect it? Let’s take a look at 5 creative ways to surprise and delight your partner via text! Picture the scene. It’s kinda late at night. You’re on a different time-zone to your partner. Maybe you’re at a party or a business meeting. You told your partner you probably won’t be texting too much today due to travelling/jet lag/ partying/otherwise occupied. In fact, you might not be able to text at all. “Go to sleep, don’t let me keep you up,” you tell them earlier in the day. You know it will upset them not to hear from you for so long, but what can you do? You’re busy. It happens. However, you planned this. Yes, you’re busy. But you exaggerated. You told them you can’t text/make time for them all day, but you know you’re just setting the scene for a big surprise later at night. So when evening swings around, and your partner still hasn’t heard from you (and really doesn’t expect to hear from you), they get into bed. Then, their phone trills, breaking the silence. You make them smile from ear to ear with a text message that tells them how much you love, adore and miss them. You tell them all about your day, and how you can’t wait to be reunited with them soon. Your partner is at work. They’re bored. Perhaps you’re at work, too. You’re bored as well! But they’re, like, really bored, and they hate their job. Worse still, you hardly ever text them during working hours, so they barely get to hear from you. Today, you’re going to make their day at work by sending them a naughty text. It’s too naughty for words, and they could get fired if their boss sees it. But that just makes it all the more exciting! They will LOVE this. It’s naughty, it’s risky – do it! It will put the spice into your relationship and surprise and delight your partner via text. It’s time to get all soft and gooey. It’s time to send the “Words Can’t Describe How Much You Mean to Me” text. You might think they already know much they mean to you. But you might be wrong. We all like to hear how much we’re loved and appreciated. And if you can’t say it in person, spend some time composing a special text message that confirms the unique place in your heart that your partner occupies. It’s just another humdrum day at work for you both. Your partner doesn’t want to go to work, and neither do you. Boring. If only you could stay in bed all day, cuddling. Except this time, you’ve got something extra special planned. You’re not going to tell them what it is just yet. You’re going to let them head off to work with the assumption that all they’ve got to look forward to tonight is another TV dinner and Netflix. Then, as the day wears on and home-time nears, you text them some amazing news. Yep! You’ve got a big surprise planned for them, and you’re going to reveal it to them via text. They will remember this text forever. You’ve been away from your partner for at least six hours (yes, that’s a darn long time!). You miss them, they miss you. So what better way to keep in touch and involve them in your day than with a spontaneous video text?! A video text is so much more personal than a written one. Go on camera, show your face and smile. Show your partner where you are, talk to them! Tell them you love them, miss them and can’t wait to see them again. They will appreciate this so much that they’ll just wanna play it over and over again. These are 5 creative ways to surprise and delight your partner via text message. Got anything you’d like to add? Spread the love by commenting and sharing!